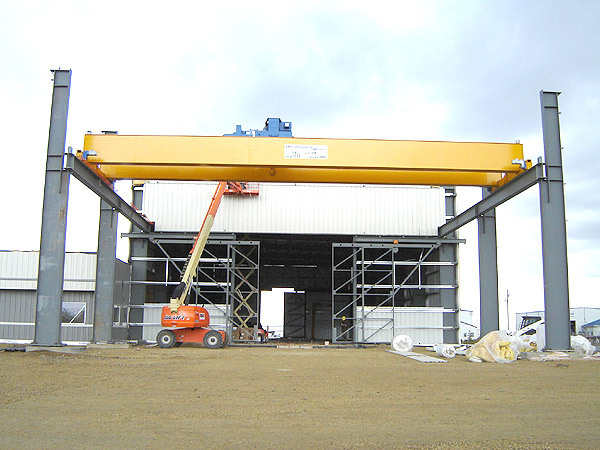 CRS specialize in the design and manufacture of custom crane doors which enable the crane to travel to outdoor section of the runway. 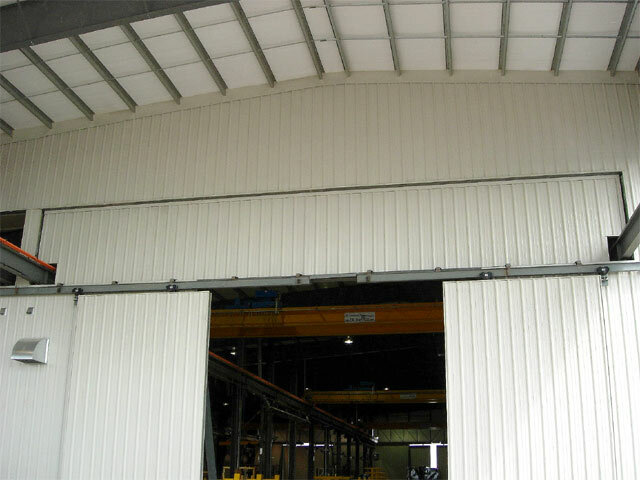 When the cranes are not required to be outside these doors enable you to offer your employees protection from the elements. 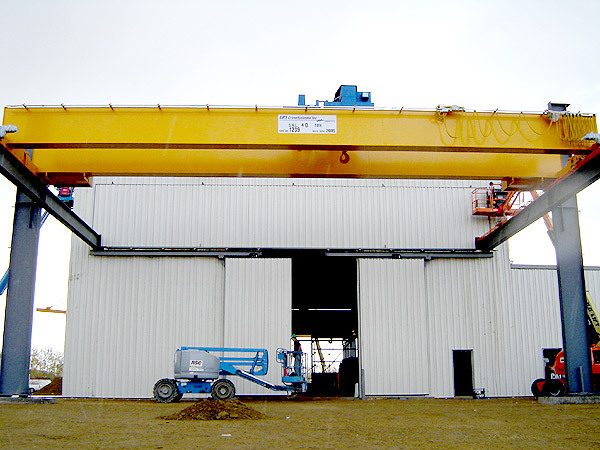 Doors can be electrically or manually operated and custom designed to suit your specific crane and building dimensions. Contact your local CRS representative for more information on our custom designed crane doors. 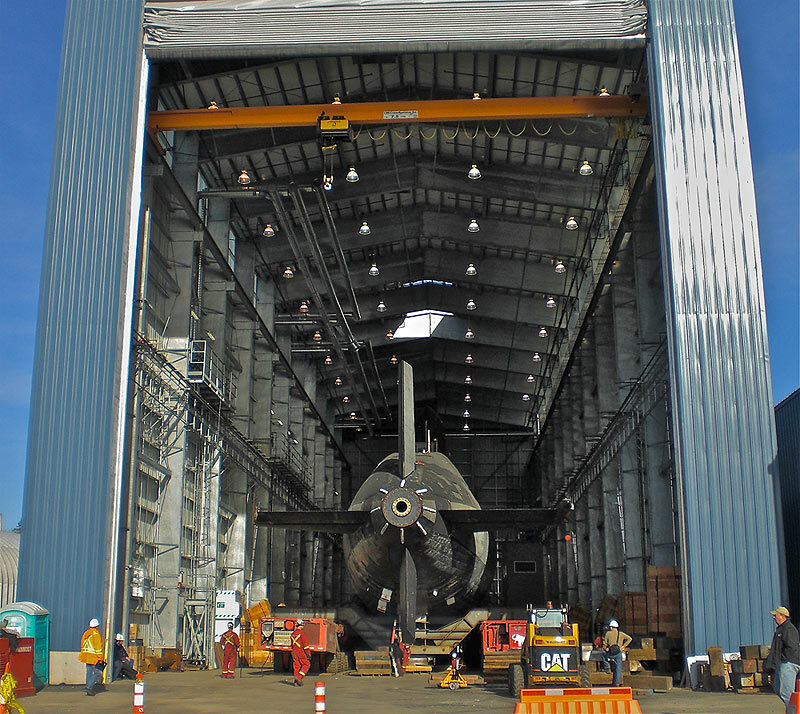 CRS manufactured both the flap doors and sliding doors for this facility to go along with six bridge cranes and runway systems. The flap doors have motorized open and close functionality. CRS supplied the crane doors on both ends of this building allowing the CRS bridge cranes to travel onto the outdoor sections of runway. 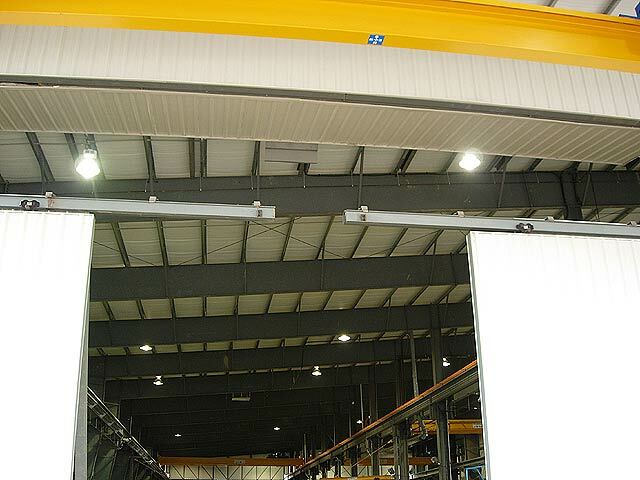 Doors are electrically opened and closed, and cranes are equipped with anti-collision systems to prevent them from running into the doors when they are closed.